One of the greatest challenges in global theological education is to keep the conversation going betwee n Churches and theological schools how institutions for theological education and pastoral formation could better serve (Evangelical) churches to be relevant witnesses in their contexts. This is also a challenge for the Balkan contexts (Croatia, Serbia, Slovenia, Bosnia, Kosovo, Montenegro, Macedonia, Albania, Romania, Bulgaria, Moldova and Greece), especially the countries of the former Yugoslavia. 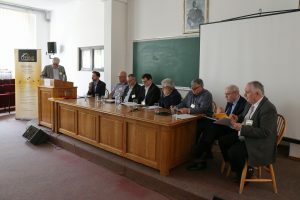 On the occasion of the Council meeting of the European Evangelical Accreditation Association (EEAA.eu) held in Osijek, a consultation was held from 10-12 April with the purpose of mapping the trends, challenges and needs of theological education in the Balkan contexts and to strengthen partnership and cooperation. EEAA Council members joined us in this conversation. 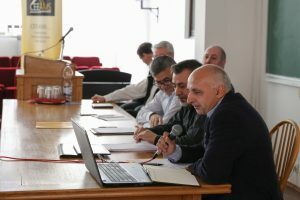 This Consultation was co-sponsored by eight theological schools, networks and churches from the Balkans and Central and Eastern Europe, including CEEAMS. 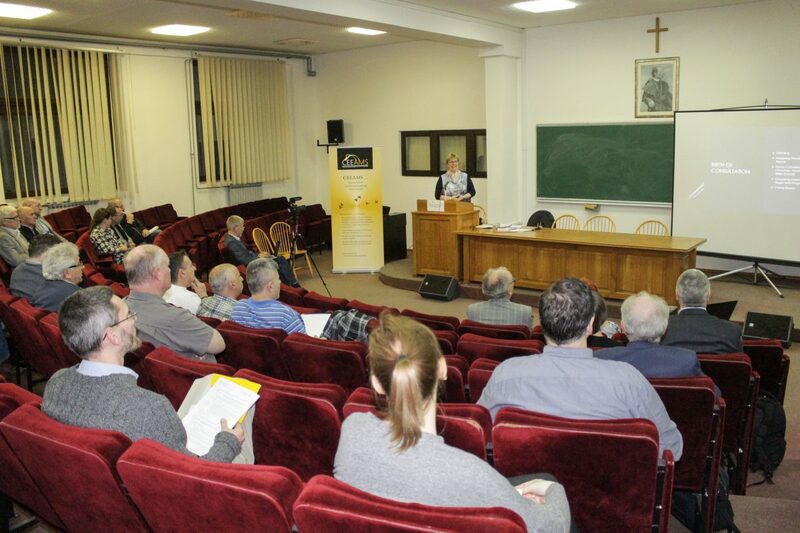 Nearly forty participants from Croatia, Bosnia and Hercegovina, Albania, Serbia Macedonia, Hungary, Bulgaria, Romania, United Kingdom, Ukraine and Germany, from different Evangelical churches and theological institutions in the Balkans and Europe gathered at the Evangelical Theological Seminary. 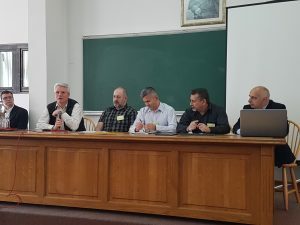 In panels and discussion groups, with contributions of more than 20 of them, they discussed the trends, challenges and needs in theological education, church and mission in the Balkan context and ways how can we co-operate in our joint mission for the Kingdom of God. 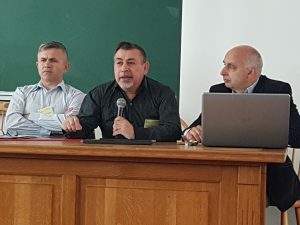 Alfred from Albania shared that there are about 25-30,000 Christians in Albania now, that have came to Christ through the missionary work of Western missionaries, including Brazilians and Koreans. A common pattern is that they first establish churches, then new denominations, followed by new theological programs. The negative aspect of these missionary activities is the division among the theological schools (we counted more than about 60 on the Balkans). “There are too many theological schools, and duplication of efforts is common place. 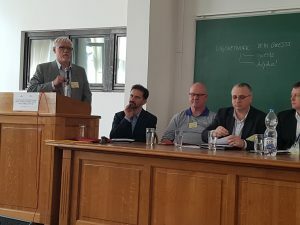 Because there are few students, many programs have to close their doors again”, Alfred underlined, highlighting the importance of reconciliation between churches, teological institutions and ethnic groups. Goran from Serbia spoke about the need for theological education in line with Roma culture and needs. Many Roma Christians go to the West. 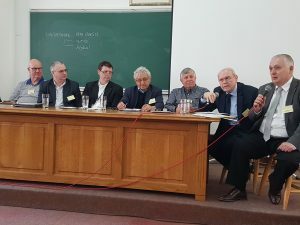 That is why a whole new approach to theological education among the Roma is needed. Sasa from Bosnia also stressed the need that churches and theological schools work together more. 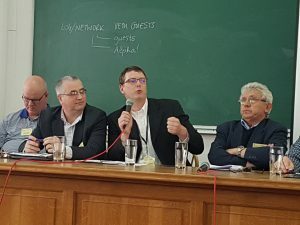 “Churches must begin to understand the importance of theological education, because without trained pastors, there will be no growth of churches”. 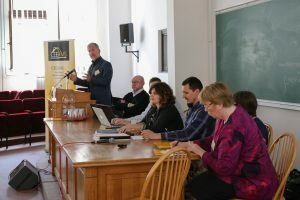 The Panel presentations will be published later.